Delft Circuits > What is working at DC like? What is working at DC like? 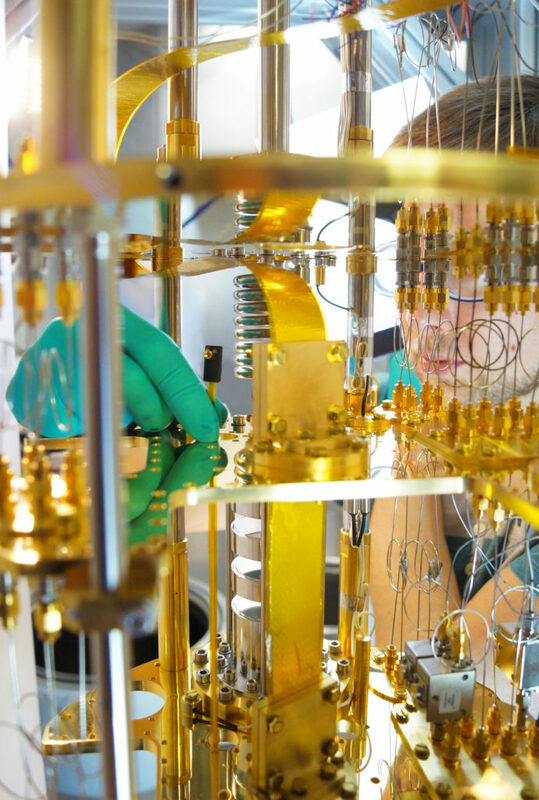 Delft Circuits is a company with a team that loves working together and thereby create state of the art quantum technologies. The best part of DC is the team, the team is DC. Within DC, the design cycle is central – analyse, design, fabricate, measure – at a rapid rate. Typically, Monday morning we get together to discuss the planning and goals of the week. Friday afternoon we get together to brainstorm and wrap up the week. This way we stay updated and in focus. Everyone is free to organize his work as it suits him. As far as we know, we only have about 100 years here on earth, and the goal is to spend this time well. We like freedom, creativity, group work and fun. We started DC because we couldn’t find a job like this and now we do. In short, DC is a place where you can learn from experienced people, use your own creativity, learn to work in a team within a structured design-based workflow and be amongst enthusiastic and dedicated people. Interested? Just send an email to daan@delft-circuits.com or drop by our studio. We offer a job where you simply join our design studio developing our product! For further details; drop a mail. Are you interested contact Daan: daan@delft-circuits.com (or drop by if you’re near). The job entails setting up a further product vision (CF1, CF2, CF3) based on customer interaction, (leading) the product improvement (technical) and be responsible for the sales of the product. We offer a job where you simply join our design studio developing our product! For further details; drop a mail. Are you interested contact Daan: daan@delft-circuits.com (or drop by if your near). What: Improving our hands-on fabrication, lab work with the best available skills. We are looking for someone with absolute love and attention of making the most fine and precise products. That combines creativity with precision. We offer a job where you are responsible for designing and making crucial parts for the production process, but are also responsible for the uptime of our machines running production. You will improve and carry out maintenance on our machines. Depending on our collaboration, you could become more involved with purchasing and installing new machines. What: helping us improve the quality of our lab by improving machines, carrying out maintenance and taking care of safety measures. Up to this point we have relied on available (standard) machines to produce small scale prototypes of our cabling. It is not always possible to scale up our products with these machines, we therefore decided to build a series of machines. This series of machines carries out a wide variety of processes which we would be very happy to elaborate on if you drop by – we cannot put all our methods on the internet ;). Currently we have a series of machines that is capable of producing for the current demand. However, some parts of the process may be improved in terms of production time. With regard to your activities, you will first be involved in the design brief: what are the requirements of the machine. Next, you will design the machines together with our engineers and lastly you will play an important role in the actual manufacturing of the machines. The final goal is a series of machines that has sufficient capacity for testing and pilot production and is easily scalable for greater production series. What: Designing and building of various machines needed for the production of our cabling.design of the next generation cabling. Education: (≥) MSc internship level, familiar with CAD (CAM) and super hands-on. As we are experiencing a rise in demand from several parties for cable testing series, we can use someone who helps us accelerating production by streamlining processes and carrying out further cabling characterization. The job is at the center of the company, you will give input from a technical / production point of view to the designers and modelers. Besides that, you will be involved with our machine builders on the design of the machine from a user perspective, and lastly you will use all our state-of-the-art machinery and build our core product!